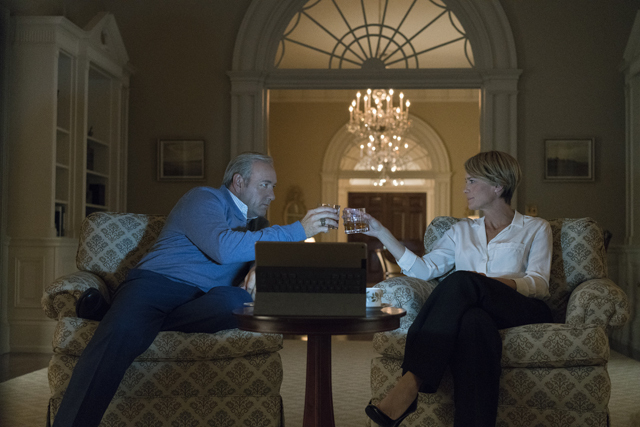 Netflix: House of Cards season 5 release date is Tuesday 30th May 2017 and in anticipation of the May 30th premiere of House of Cards season 5, Netflix has released first look images featuring the threatened road to re-election. 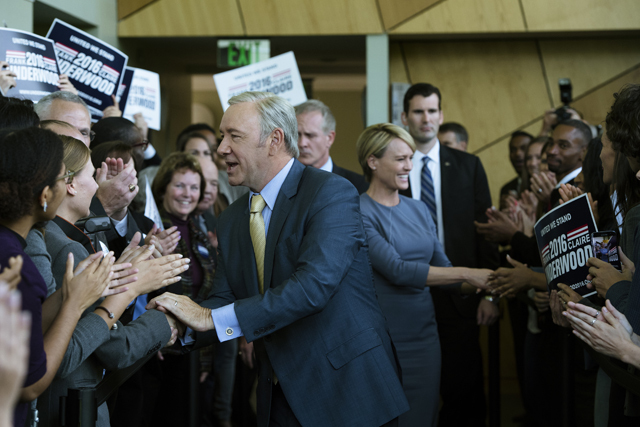 The series’s Golden Globe® winning stars Kevin Spacey (as Francis Underwood) and Robin Wright (as Claire Underwood), whose characters have always been each other’s strongest allies, show cracks in their relationship. 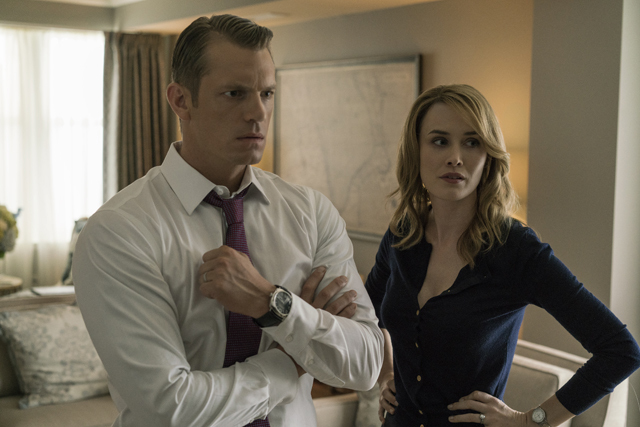 House of Cards also stars Michael Kelly, ​Jayne Atkinson, ​Neve Campbell, ​DerekCecil, Paul Sparks and Joel Kinnaman. 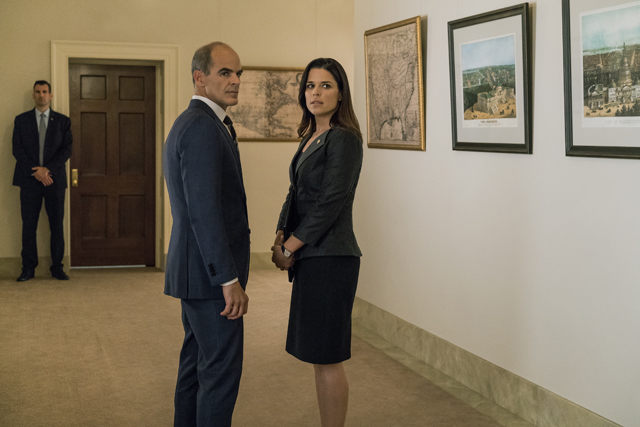 If you remember the end of season 4, then you’ll remember that Frank Underwood (Kevin Spacey) declared global war and his wife Claire, for the first time, looked towards the camera and if she could hear and was part of what Frank was saying to us the audience. Does this mean that we will start hearing the voice of Claire talking to us throughout season 5? We hope so as we LOVE Claire’s character. So powerful, so feminine, ever so strong. This page will be updated with further information as soon as we receive it. However if you cannot wait until May for the launch of Season 5, then you may want to watch ‘Designated Survivor‘ on Netflix in the mean time.